Are you looking for SEO training courses and workshops? My name is Dan Taylor, and I’m an experienced, award winning SEO consultant. 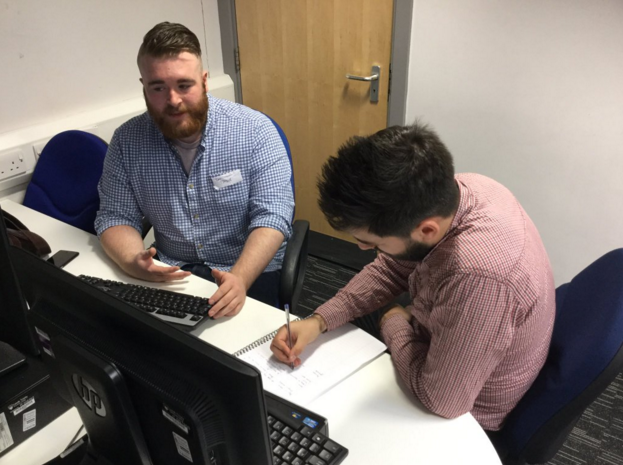 I’ve worked with, and delivered SEO workshops in partnership with the Department for International Trade, Google Digital Garage, and Leeds Trinity University – as well as been on countless webinars and podcasts. You’ll also find my articles in Search Engine Watch, Search Engine Journal, as well as chapters I’ve contributed to various Search Engine Journal Ebooks. 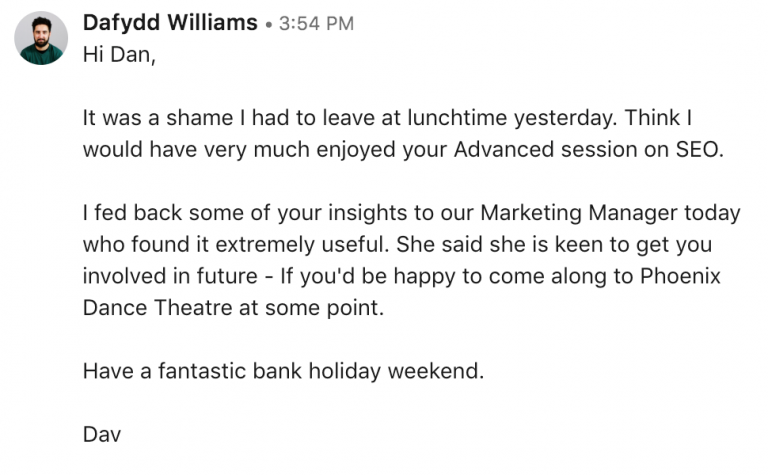 Feedback from Dafydd Williams, Fundraising Fellow @ Phoenix Dance Theatre following an Advanced SEO session. Through my work, I’ve consulted and helped some of the world’s biggest brands, in some of the most competitive sectors improve their organic search performance. From these experiences, I’m used to working with businesses of all shapes and sizes, as well as businesses from all over the world. Rather than waste time, money and human resources making mistakes buying ineffective tool subscriptions, chasing algorithm trends, or just investing in shoddy SEO consultancy – you can learn from my experience, my mistakes, and put in place a viable, working, strategic plan with clear short and long term KPIs. I was very impressed with the services that Dan provided. A professional, personable and very knowledgeable guy, who always went the extra mile. I’ve used various SEO companies in the past and have always been let down and out of pocket, but with Dan, things were different. Who can benefit from my SEO training courses? Your venue/offices, the only requirements for the venue to be suitable are WiFi and a projector & screen… Or a white wall, and I can provide a projector at a cost. Are you wanting SEO training, but wanting to keep the costs down? As well as in person training I am developing a number of 2-hour courses for SEO that can be delivered virtually through Google Hangouts. As well as providing SEO training, I also lecture digital marketing students at Leeds Trinity University. Below is a recording of one of my sessions in the Mary Holloway Lecture Theatre. Are you interested in improving your SEO knowledge? Or the SEO knowledge of your in-house team? Talk to me today about how we can make that happen.